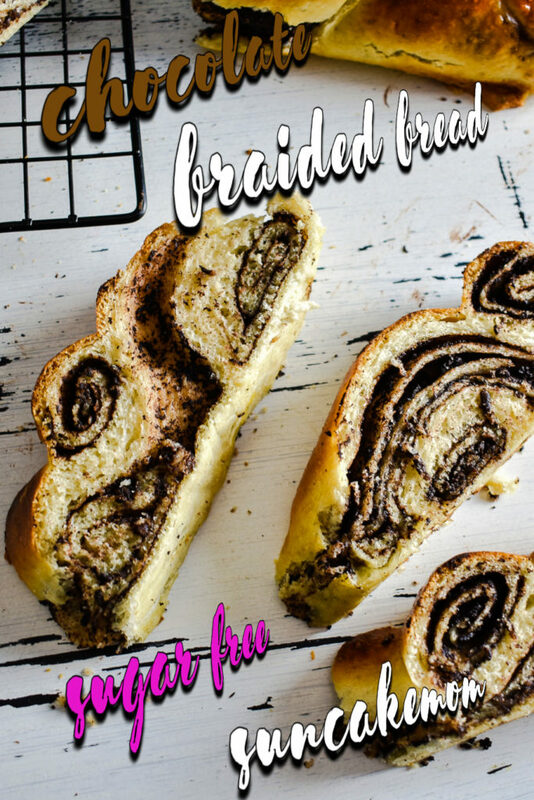 Bread braided with a buttery chocolate filling. 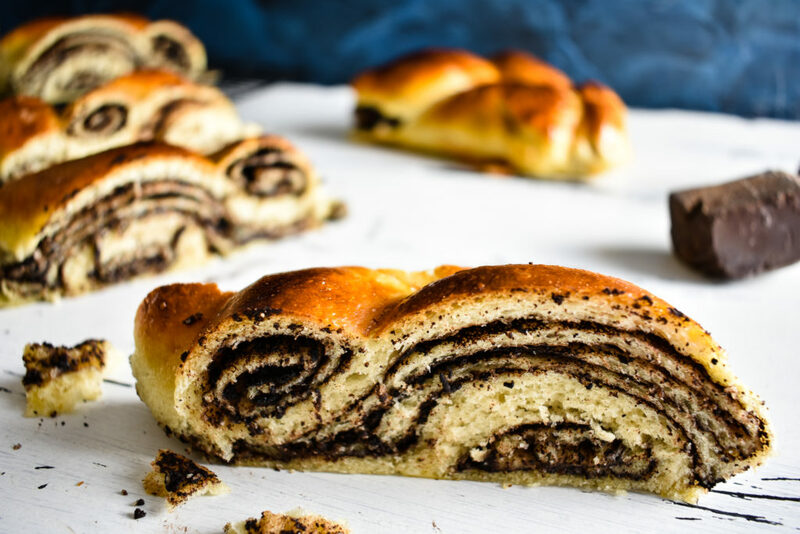 Soft, airy bread with a charming shape and joyful chocolatey flavor to impress after the first bite. 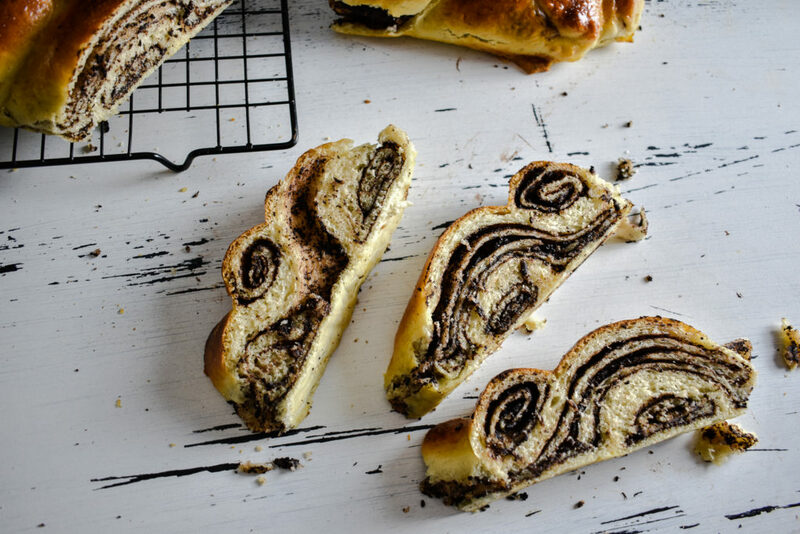 Chocolate and bread are a winning combination. Not as making a chocolate cake would hurt anyone’s feeling but there is a huge difference in texture between a chocolate cake and a yeasty fluffy soft airy bread. Make no mistake we aren’t talking about a bar of chocolate popped on top of a slice of white bread or Nutella spread. Both are disgustingly delicious, highly addictive desserts that can’t be resisted once within reach. Well, it’s hard to resist any kind of sweetened white bread anyway, but some are worth bowing to the temptation more than the others. At least this is what we tell ourselves when pouring the yeast into the dough with the hope of quickly flying minutes. 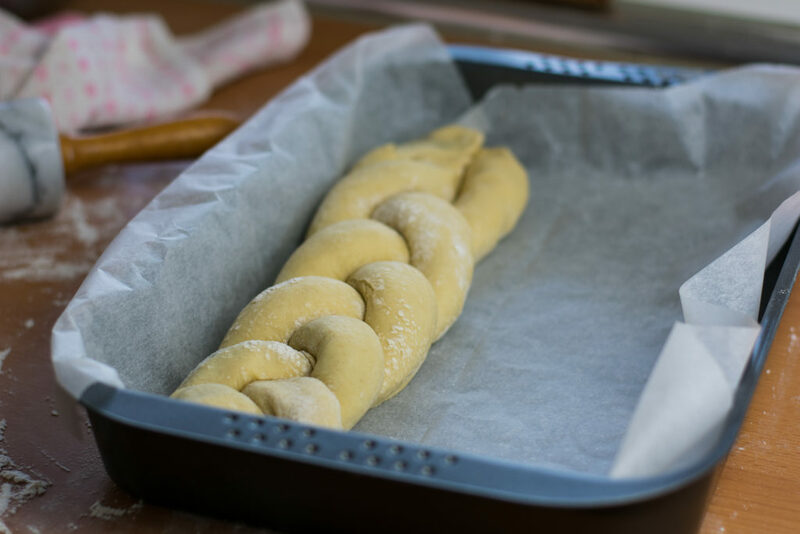 Time is a crucial ingredient when baking with yeast so is temperature. Too low temperature will thwart yeasts growing, leaving us with longer preparation times to suffer or halt it entirely. On the other side of the spectrum too high temperature will kill the yeast thus stopping any rising process entirely. Luckily, the whole process isn’t as tricky as it sounds, as there is quite a big leeway in temperatures to play with. The recommended best temperature for the fresh live yeast to raise the dough is between 95°- 100°F / 35° – 38°C but even at 68°F / 20°C the process starts only with a much slower pace. 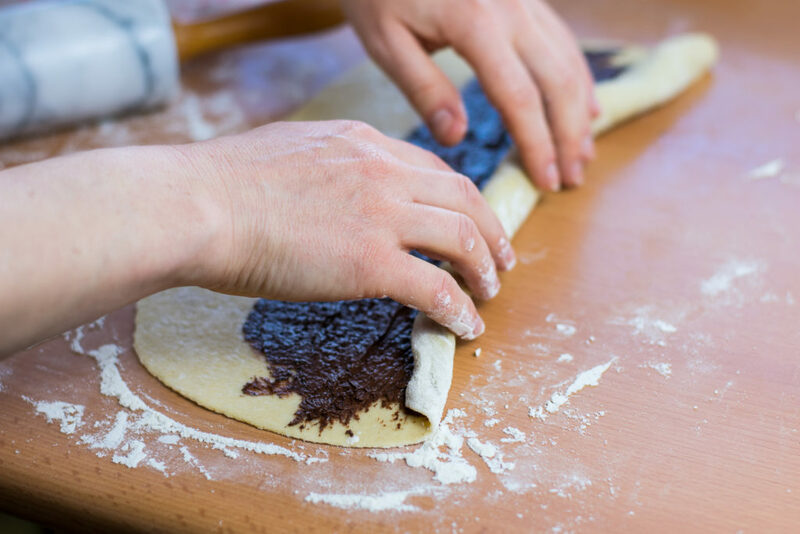 To shorten the waiting time, we can always pop the dough into the oven. If there isn’t such low temperature available on the oven just set it to the lowest possible settings. When it gets warmish turn it off and place the dough with the bowl inside. 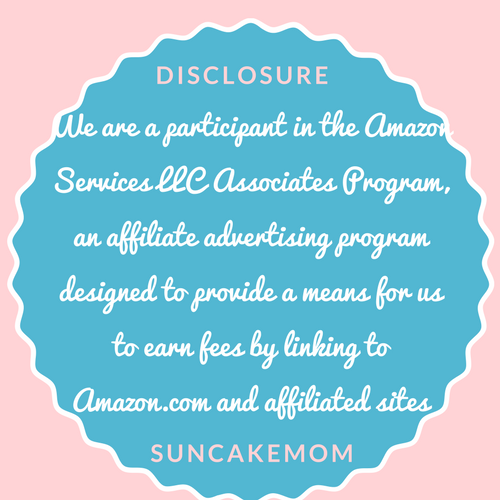 When the leavening process is done, the filling process can be taken care of. 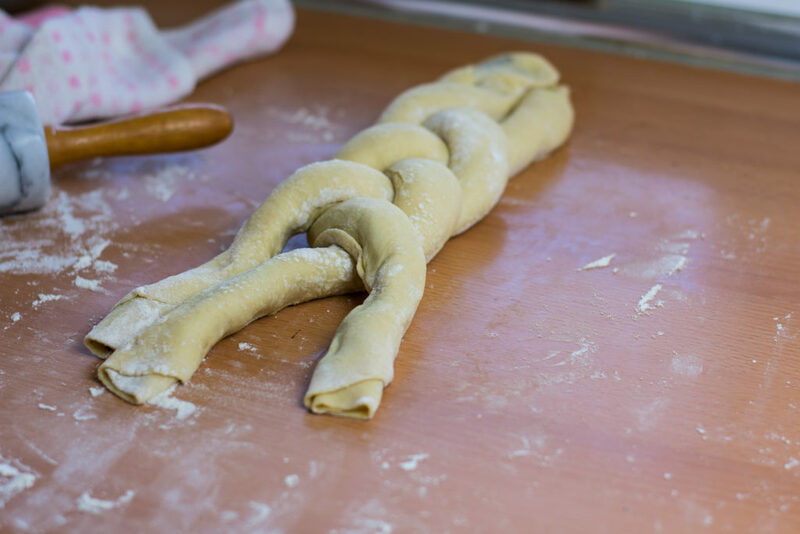 We have never ending possibilities to prepare sweet breads in terms of shapes and fillings. 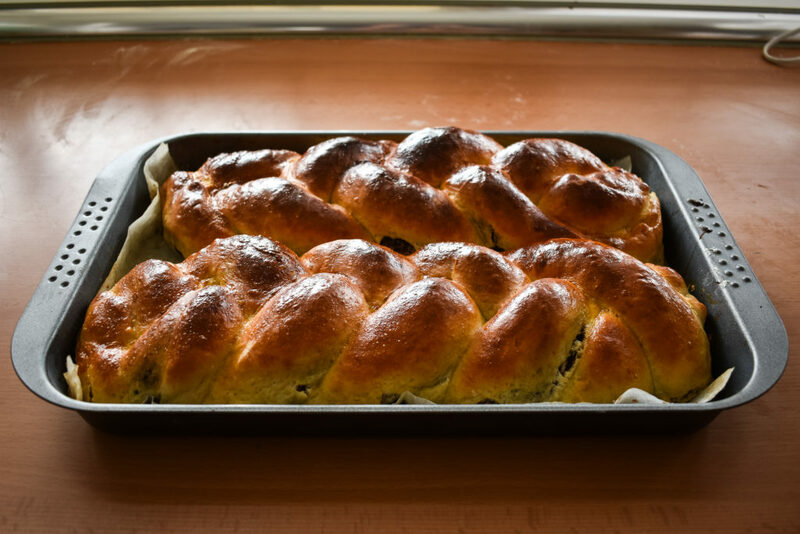 Some bread is made for sharing, like the pull apart bread that require nothing else but two fingers to dunk them into hot chocolate. 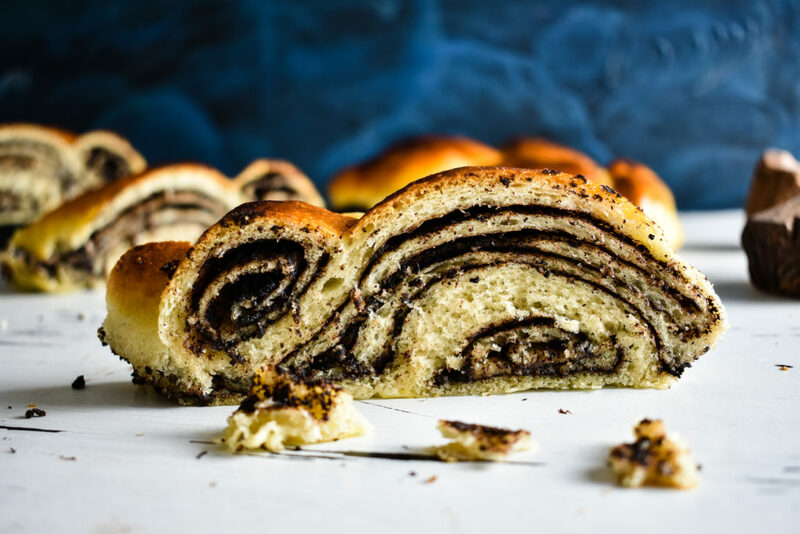 It can be rolled and sliced up producing spiraling sweet rolls that are filled with cinnamon or chocolate. 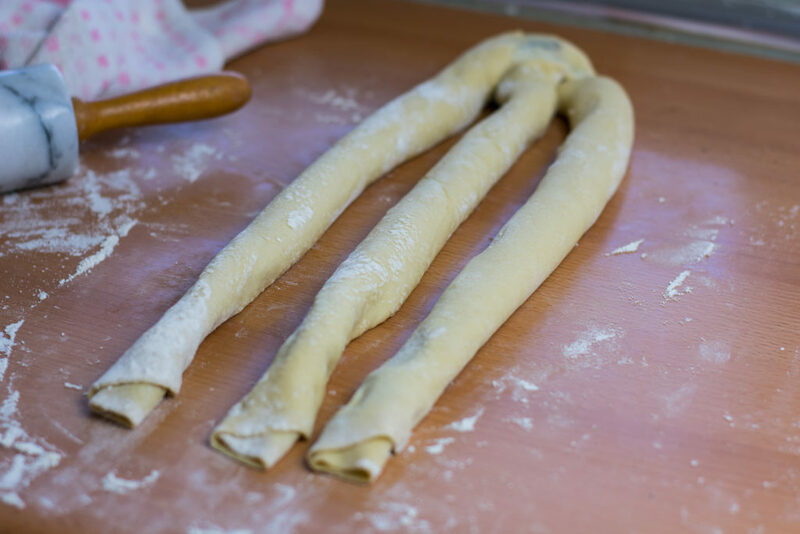 Interestingly enough the same dough and filling can taste differently when shaped into another form. This has much to do with our ability to consume the food visually even before placing it into our mouth. If it looks good, it tastes even better. Our brain can decide things beforehand and it’s up to the taste buds and smelling the confirm the initial assumption. 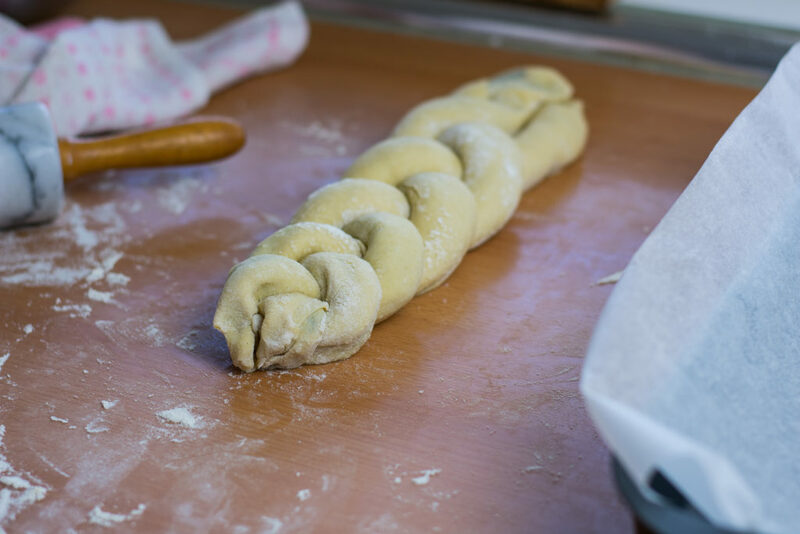 Filling bread with chocolate cream then braiding it together sounds and looks like a thing our brain would definitely approve without hesitation almost any time of the day. 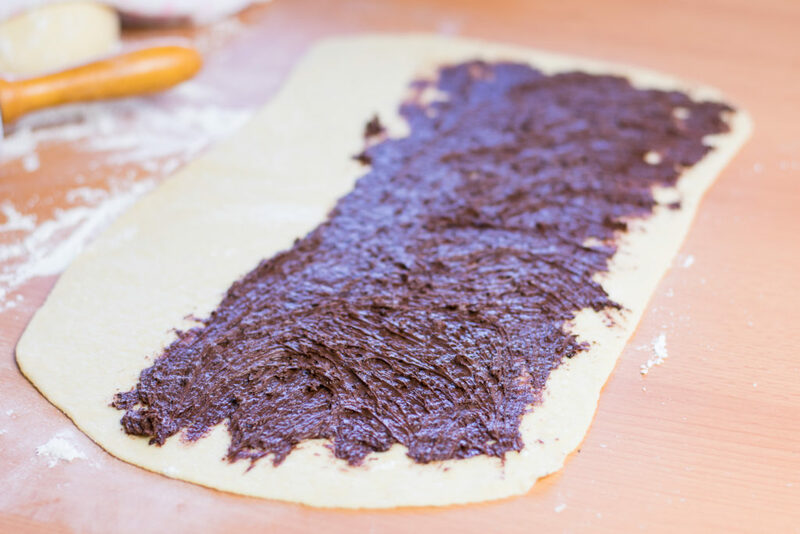 Peeling through the buttery chocolate layers reaching to the soft core or just biting through them at once calls for the kneading machine. The worst thing about this kind of yeast leavened bread that it is extremely delicious on the day of its making but it loses its appeal the day after. Even as proximate as the next day could diminish its joyfulness. It is not freezing well and not keeping well even in closed containers so the only option is to eat it all on the very day it is made and feel sorry the day after. Put fresh yeast into the lukewarm milk to dissolve. 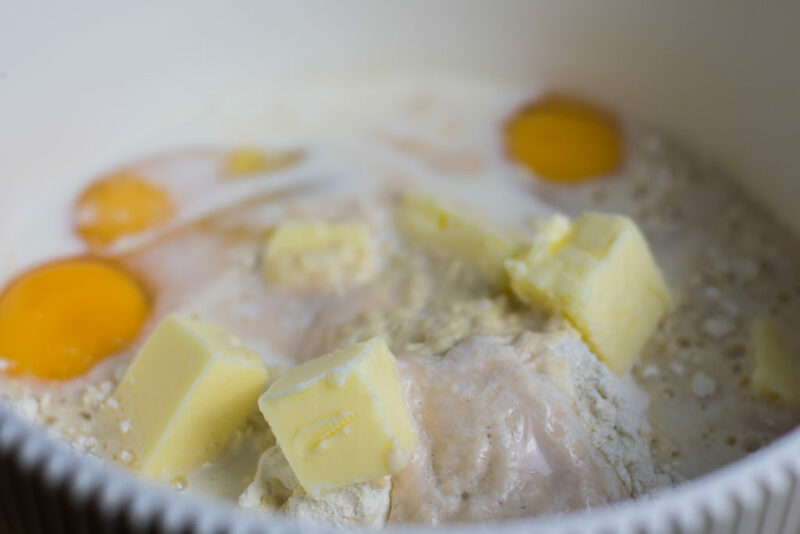 Measure flour, butter, vanilla essence and honey to put it in a medium size mixing bowl. Break eggs and put them into the bowl as well. Pour yeasty milk on top of the flour mixture. 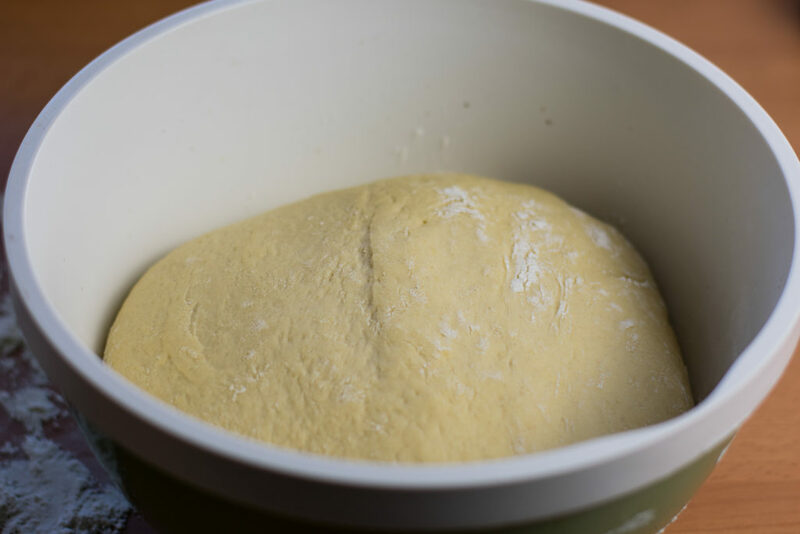 Knead it until it’s even and the dough is off the side of the mixing bowl. Cover the bowl and leave it in a warm place for an hour to raise. 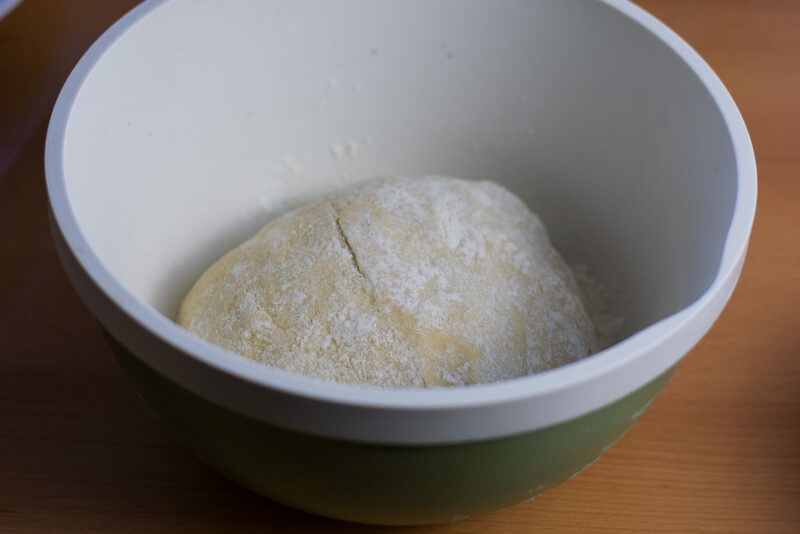 After an hour take the dough out of the bowl onto a floured surface. 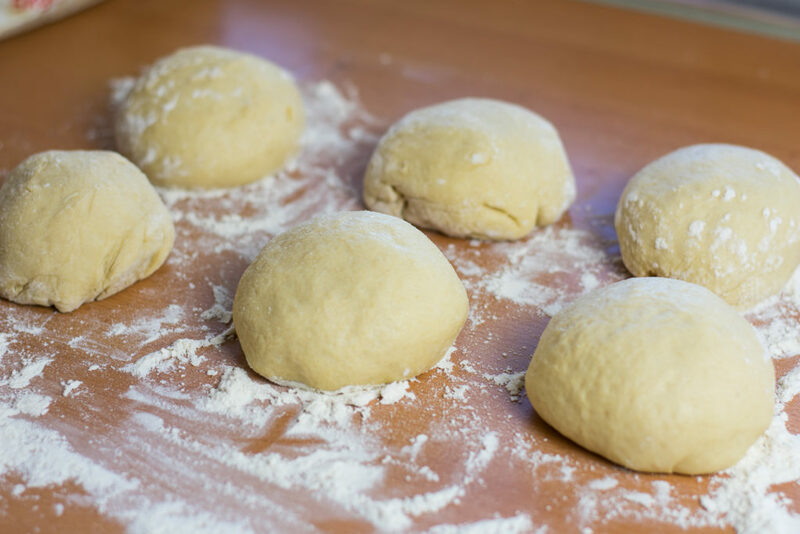 Make dough balls out of them. Find a warm place aside to place them not too close to each other, and cover them with a kitchen towel for another half an hour to raise more. 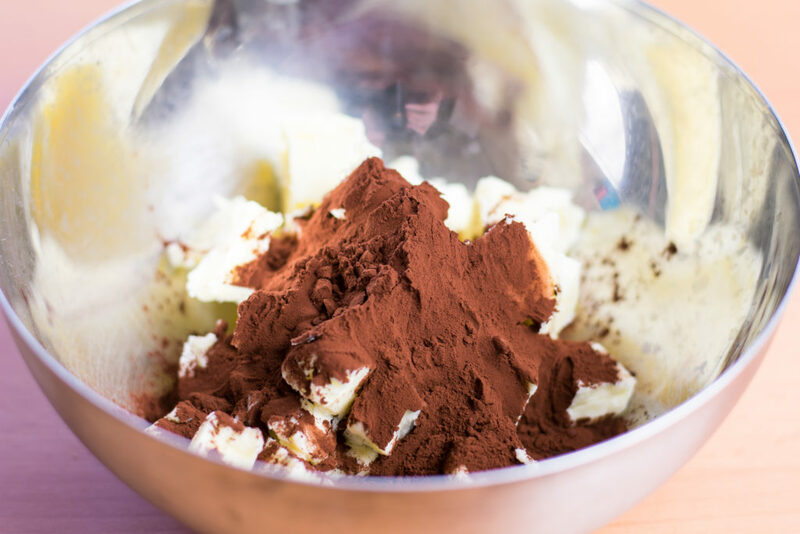 Put dice butter and put it in a mixing bowl with the cocoa powder and the honey. 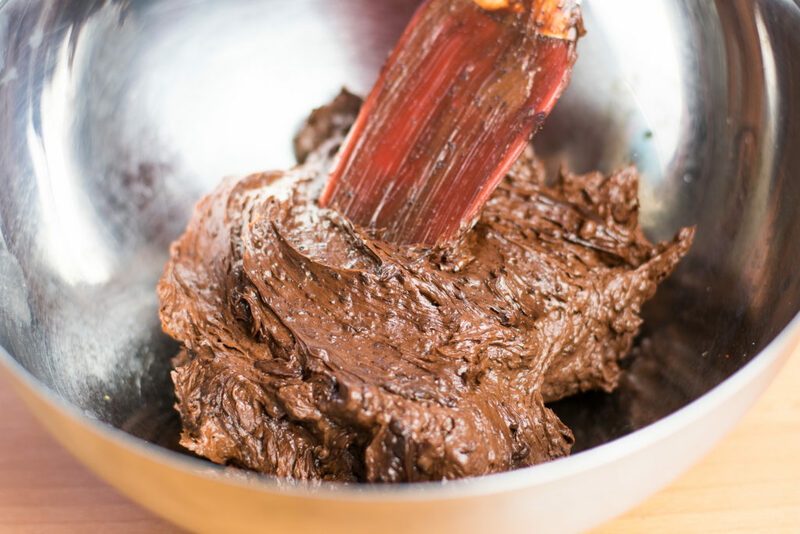 Whisk them together until butter gets a creamy, easy to spread texture. 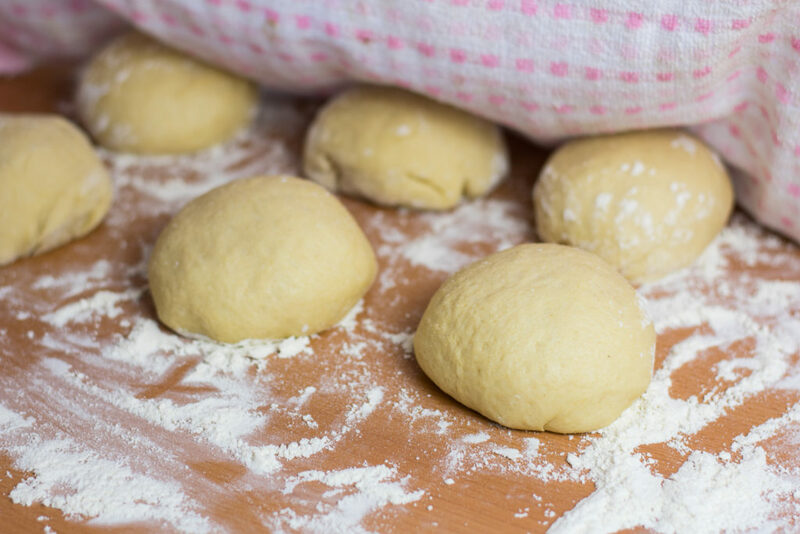 Start working with the first dough-ball. 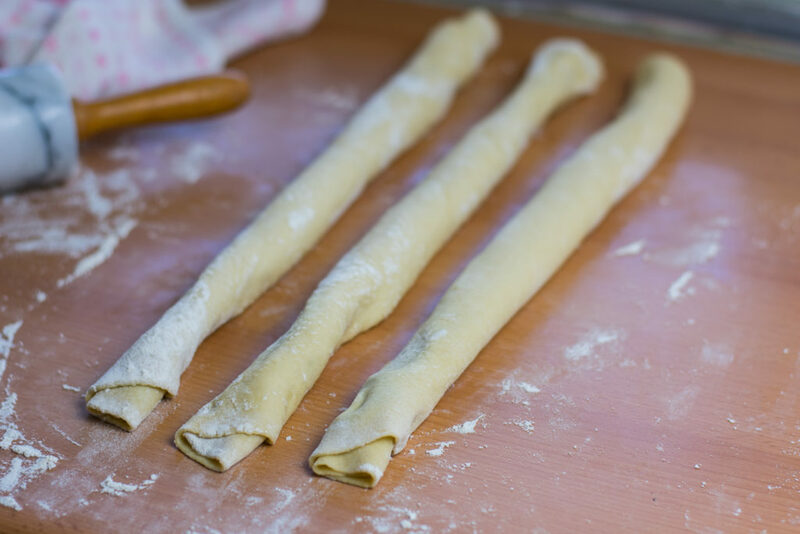 Place it on a well-floured surface and strew it in the size of the baking tray with a help of a rolling pin. Spread ⅙ of the chocolate cream evenly on top. Roll the dough into a log. Repeat the same process with the other dough-balls as well. Press three logs together at one end then braid them together. 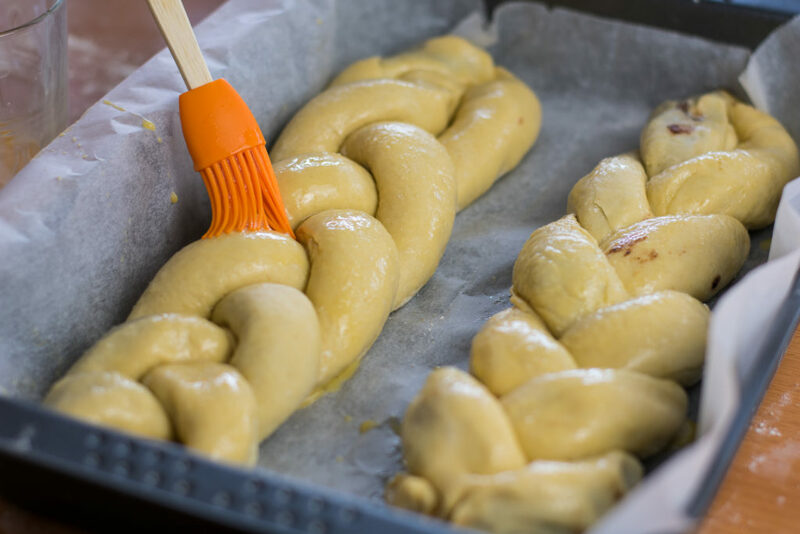 Place the braided bread on one side of the tray. Repeat it with the other three logs as well. When both bread is in the tray cover them with a kitchen towel and leave it in a warm place for another 15 minutes. Break an egg and mix it with a drop of honey and vanilla extract. Brush egg on top of the bread before putting it into the preheated oven. Bake it in the oven for half an hour or until the top is golden brown. Pour yeasty milk on top of the flour mixture and knead it until it's even and the dough is off the side of the mixing bowl. 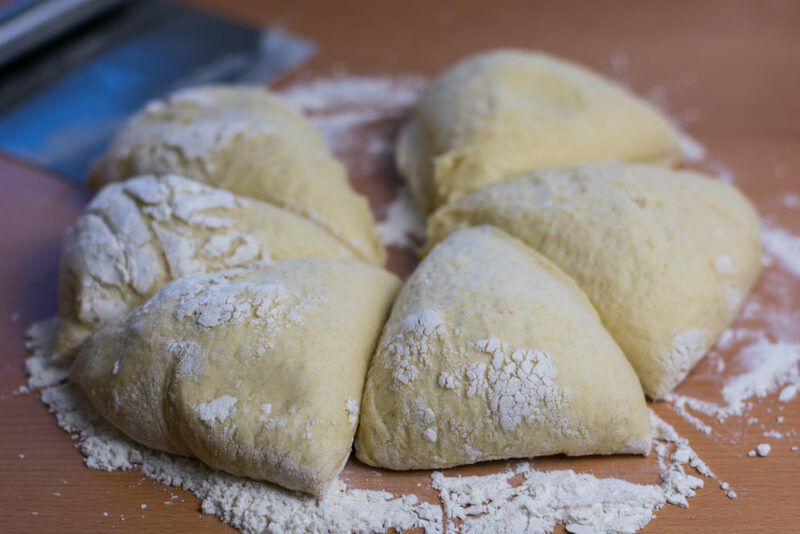 Divide it into 6 equal pieces and make dough balls out of them. Then start working with the first dough-ball. 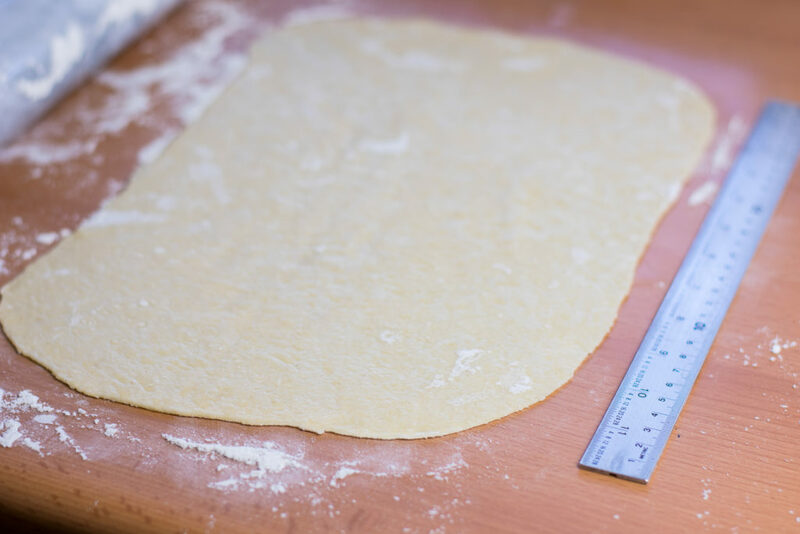 Place it on a well-floured surface and strew it in the size of the baking tray with a help of a rolling pin. Spread 1/6 of the chocolate cream evenly on top. 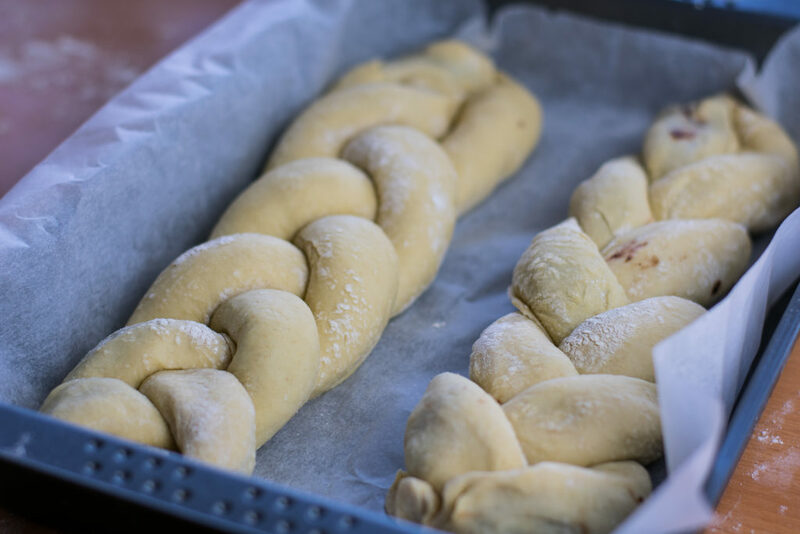 Braid three logs together and place the braided bread on one side of the tray. Leave it in the oven for half an hour or until the top is golden brown.